Who is Manoj Bhargava? The founder of 5-hour Energy is a Princeton dropout, former monk and political kingmaker. Companies tied to 5-hour Energy have given at least $5.3 million to help elect state-level candidates since 2009. Political giving by companies tied to 5-hour Energy increased as 33 states investigated the company. Companies tied to 5-hour Energy have given more than $1.2 million to state attorneys general and their political groups. A company tied to 5-hour Energy was one of top five donors to the Republican Governors Association in 2014. 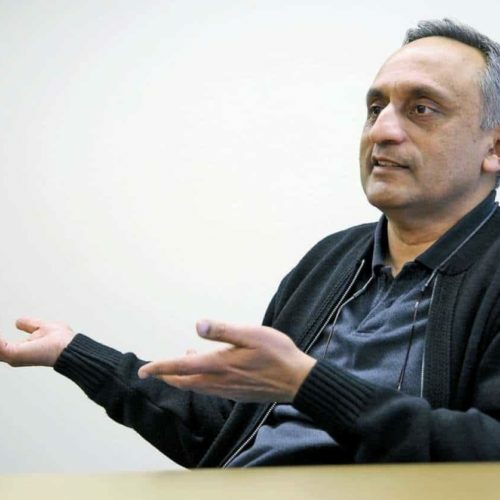 FARMINGTON HILLS, Mich. — The tiny bottles of 5-hour Energy that made Manoj Bhargava a billionaire are just about everywhere. But the Princeton dropout and former Hindu monk is nearly invisible. Bhargava’s investment firm ETC Capital gave $2.5 million to the Republican Governors Association last year, joining conservative billionaires Sheldon Adelson and David Koch on the list of top five donors to the group that works to elect Republican governors. The 62-year-old Bhargava and several of his Michigan-based companies have given at least $5.3 million to candidates for state office and political groups around the country since 2009, according to state and federal campaign filings. But Bhargava remains a mystery man, even to many of the people who are benefiting from his largesse, including Bobby Schostak, who received a $25,000 donation from ETC Capital in 2010 during his first campaign for Michigan Republican Party chairman. Few people have given as much to politics at the state level as Bhargava and his companies in the past five years, and donors of such generosity are typically well known and aggressively courted by politicians who need their favor and funding to pay for campaigns. Yet Bhargava avoids the spotlight, both in politics and life: he said in a 2012 television interview that fame puts “a bull’s-eye on your forehead.” And he’s gone to great lengths to obscure his political activity, even as his signature product draws more scrutiny from some of the same politicians he’s supporting. Only a fraction of the donations were made in Bhargava’s name or by the companies that oversee the production and marketing of 5-hour Energy. But an investigation by the Center for Public Integrity found that he makes donations through several of his more than 70 limited liability companies. As such, the motives for his political giving are as muddy as the circuitous way in which the donations are made. He gives most heavily to Republicans but has donated to Democrats, too. Many of the donations appear to have ties back to Michigan, where his businesses are based. Nearly a quarter of the donations affiliated with Bhargava went to candidates for state attorney general, who have the power to investigate his business, and the organizations that support their election efforts. Attorneys general in five states are suing Bhargava’s energy shot business, accusing it of deceptive marketing practices. A federal court in California is considering nine consolidated class-action lawsuits brought against 5-hour Energy in seven states, though the cases have been partially dismissed. And the Food and Drug Administration is investigating the safety of the shot, having received reports of more than 20 deaths potentially linked to its consumption. The political giving tied to Bhargava has only increased as investigations have multiplied. Bhargava did not return multiple calls and emails sent over the past month seeking comment about his political giving, and a reporter who recently visited the two-story brick-and-glass headquarters of his companies was told Bhargava was not available. Several people who have worked with or live near him declined to comment, citing a fear of legal reprisals, or legal agreements barring them from speaking about Bhargava and 5-hour Energy. Political operatives in Michigan say the relative anonymity seems to be how Bhargava prefers to do business. “People are very conscious of the fact that he’s very secretive,” said Mark Brewer, the former chairman of Michigan’s Democratic Party. Bhargava grew up in Lucknow, India, a city of roughly 5 million in the northern state of Uttar Pradesh. He moved with his family at 14 to Philadelphia so that his father could pursue a Ph.D. at the University of Pennsylvania’s Wharton School of Business. He won a scholarship to The Hill School, a prestigious boarding school in suburban Philadelphia and, later, admission to Princeton University. But Bhargava only spent a year at the Ivy League school, dropping out in 1973, according to The Daily Princetonian. He then spent more than a decade traveling between Hindu monasteries in India as a monk and working odd jobs back in the U.S. He returned to the U.S. permanently in the early 1990s and took over the family’s plastics company, Prime PVC, in 1996, growing it into a multimillion-dollar business that he sold to a private equity firm in 2007, according to multiple news reports. By then, he had moved to Michigan and was on the hunt for a new business. He abandoned his first venture, the anti-hangover pill Chaser, but he won big with 5-hour Energy — a flavored energy drink that contains caffeine, vitamins and amino acids. As he has told it, Bhargava replicated an energy drink he stumbled upon at a trade show in 2003 after its developers refused to sell him the recipe. Sales of the 1.93-ounce bottles propelled Bhargava onto Forbes’ list of billionaires in 2012. Bhargava credits much of 5-hour Energy’s success to the decision to place the small yellow and red bottles at checkout counters, rather than in coolers with the other energy drinks. The business has also engaged in an aggressive pattern of litigation, having sued more than a dozen competitors for producing or distributing similar products. Bhargava’s office is said to contain a mock graveyard, made up of the bottles of failed competitors. In 2012, Bhargava publicly took the giving pledge championed by Bill and Melinda Gates and Warren Buffett, which encourages billionaires to donate the majority of their wealth to charity. Three years earlier, he transferred a stake appraised at $623.6 million in Innovation Ventures, a parent company of 5-hour Energy, to his Rural India Supporting Trust, which he has described as “the largest charity in India that nobody knows.” The organization has spent more than $60 million since 2008 supporting development projects in India, according to tax forms it has filed with the Internal Revenue Service. In public speeches, Bhargava has prided himself on his modest lifestyle. He lives today in Farmington Hills, the same well-off Detroit suburb where 5-hour Energy is headquartered. While his five-bedroom, six-bath home is worth about $1.7 million, he has forgone the flashier Bloomfield Hills or other tony Detroit suburbs where someone of his wealth might be expected to live. In many respects that home — and the fight to build it — highlight both the pugnaciousness of Bhargava and his quest for privacy while staying in the middle of everything. Courtesy of the City of Farmington Hills, Michigan. Instead of a single home, the low-profile multimillionaire planned a 17-house development sandwiched between two existing tracts of homes, with a gated entrance, private road and a second, eight-foot fence surrounding his home in a city with only a handful of other gated neighborhoods. By the time other homes in the development hit the market last year, listed at more than $600,000, Bhargava’s team had already sued both its initial developer and a neighbor who distributed fliers opposing the development. Both suits were settled, confidentially. When the trim, slightly balding Bhargava speaks publicly about his energy shot company, he emphasizes its common-sense approach. No one in the company uses business-school jargon, he told a 2012 meeting of the Asian Pacific American Chamber of Commerce, and he jokes that he doesn’t even know how to spell the words “strategic initiatives.” He says that his job is to make complex ideas simple. But Bhargava’s various business ventures are anything but easy to follow. More than 70 limited liability companies, some of which are no longer active, have been registered at the address of 5-hour Energy’s headquarters. Such businesses, which as their name implies limit the personal liability of their owners, also offer tax benefits and, in Michigan and elsewhere, aren’t subject to the same restrictions on political activity as other corporations. Those LLCs include a host of other ventures, such as investment funds and Bhargava’s backing of several upcoming Hollywood films. The business of running 5-hour Energy itself is composed of three separate LLCs: Innovation Ventures, Living Essentials and MicroDose Sales. For political purposes, Bhargava’s most active company has been ETC Capital, which bills itself on its website as “founded on the basis of opportunistic investing” and invests in companies that don’t qualify for traditional loans or private equity. Since 2009, ETC Capital has given nearly $4.9 million to state candidates and political groups across the country, which helped it become one of the top 50 donors to state races in 2014. It’s unclear why the giving has come in ETC Capital’s name or who in the company decides which political groups merit donations. In at least one case, a donation given by ETC Capital to Washington Attorney General Bob Ferguson was later publicly represented as sponsorship of a fundraiser by 5-hour Energy, according to The New York Times. Seven donations totaling $319,500 were made during 2009 and 2010 in the name of Ted Mills, a former managing director at ETC Capital. Mills, however, told the Center for Public Integrity he didn’t make the donations, which were spread across five political action committees. Three of those were connected to Mike Bishop, a former Michigan Senate majority leader who ran for state attorney general in 2010. Mills declined further comment. 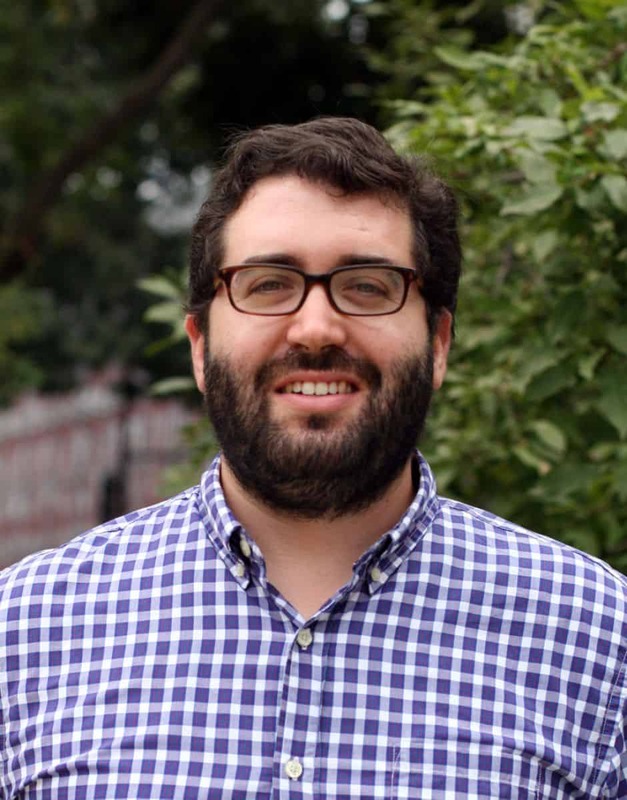 Matt Miner, treasurer of the three committees connected to Bishop, said the committees’ policies for handling donations from limited liability corporations, like ETC Capital, was to attribute them to someone affiliated with the corporation, such as Mills. Source: National Institute on Money in State Politics, IRS, Michigan Secretary of State, FEC. Donations occurred between 1999 and 2014. Since 2009, companies tied to Bhargava have donated more than $1.2 million to candidates for attorney general and political committees that support them, according to data from the IRS and the National Institute on Money in State Politics. The bulk of that giving, more than $850,000, has benefited two Republican groups: the Republican Attorneys General Association and the Republican State Leadership Committee. Bhargava’s companies also donated more than $310,000 to the Democratic Attorneys General Association, and more than $40,000 went directly to state attorney general candidates from both parties in at least seven states. Those donations haven’t insulated Bhargava and 5-hour Energy. 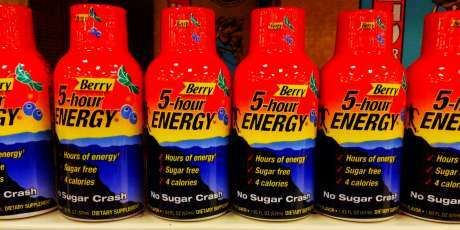 Since 2013, 33 state attorneys general have investigated the marketing or safety of 5-hour Energy. Five of those states — Indiana, Hawaii, Oregon, Vermont and Washington — have sued the company since last July, accusing it of making deceptive claims in its marketing. Ohio settled with the company in July without filing suit, after investigating the company for deceptive marketing, with the energy drink company agreeing to pay $1 million for research or public education on childhood disease. Ohio and Indiana are the only states among the six with Republican attorneys general. Two of the five attorneys general to sue Bhargava’s company in the past year received campaign donations from him as candidates. Washington’s Ferguson, a Democrat, returned a $1,000 donation from ETC Capital in July 2014, one day after his state filed the suit against 5-hour Energy. When asked recently about the donations, his office referred to prior public statements in which Ferguson has acknowledged personally soliciting a donation from Bhargava’s company. Indiana’s Greg Zoeller, a Republican, also sued Bhargava’s company after receiving a total of $7,500 in donations from the Bhargava-connected Oakland Law Group in 2011 and 2012, which placed the law firm among Zoeller’s top 10 donors in that two-year period. Andrew Buroker, the treasurer of Zoeller’s campaign, said in an email that while Zoeller doesn’t solicit contributions from organizations under investigation, these donations wouldn’t be returned because they were made before the state’s investigation into 5-hour Energy began. After The New York Times last year highlighted efforts by 5-hour Energy to influence states not to file suit, Bhargava and his company accused attorneys general of soliciting political contributions from the company while it was being investigated by them. Donations to Michigan political groups given in the name of ETC Capital, Mills and Bhargava totaled more than $450,000 in 2009 and 2010, according to IRS and state filings. Since then, none of them has donated directly to Michigan groups or candidates. But national groups that have received the biggest checks from Bhargava’s companies have been very active in Michigan politics. The timing of the donations and the spending by such groups in the state raises questions about whether the money was earmarked for Michigan. For example, eight weeks after ETC Capital gave $275,000 to the Republican Governors Association in October 2013, the group gave $276,000 to the Michigan Republican Party. In 2014, Bhargava’s company gave $2.5 million to the governors' association, which paid $3.2 million on the same day to the media company it used to place ads backing the re-election of Republican Michigan Gov. Rick Snyder. Bhargava’s company also gave heavily to Republican groups active in Michigan’s 2014 attorney general race. In 2013, ETC Capital gave $125,000 to the Republican State Leadership Committee, which donated $34,000 to Republican incumbent Bill Schuette’s campaign on the same day. Yet numerous Michigan politicians, ranging from his local mayor to statewide political bosses, say they barely know Bhargava, even the ones who have benefited from the political donations of his various companies. A spokeswoman for Schuette said he has never met with Bhargava and doesn’t know him. Snyder, who won re-election in 2014 thanks, in part, to an estimated $7.4 million in ad spending by the RGA, has met with Bhargava only once — during Snyder’s first year in office in 2011, according to a spokeswoman. Several Michigan political insiders also said they don’t know of particular pieces of legislation or policy issues that Bhargava has tried to influence. Bhargava’s low-key approach stands in stark contrast to other wealthy political donors in the state, such as the scions of Richard DeVos, who made a fortune after co-founding Amway Corp., the world’s largest direct seller. Bhargava’s name, meanwhile, appears sparingly in campaign finance filings. He appears to have made only two political donations in his own name: $1,000 to President George W. Bush’s campaign in 1999 and $500 a decade later to the campaign of Jim Townsend, a Democratic state representative in nearby Royal Oak. Despite the donation to Bush, the bulk of political giving by Bhargava’s companies has so far been focused on state-level races. Michigan isn’t scheduled to elect a new governor until 2018, but presidential contenders are already visiting the state to shore up support for 2016. Last month, Republican presidential contender Jeb Bush was in town talking to a packed room at Detroit’s convention center. Associated Press reporter David Eggert contributed to this story.